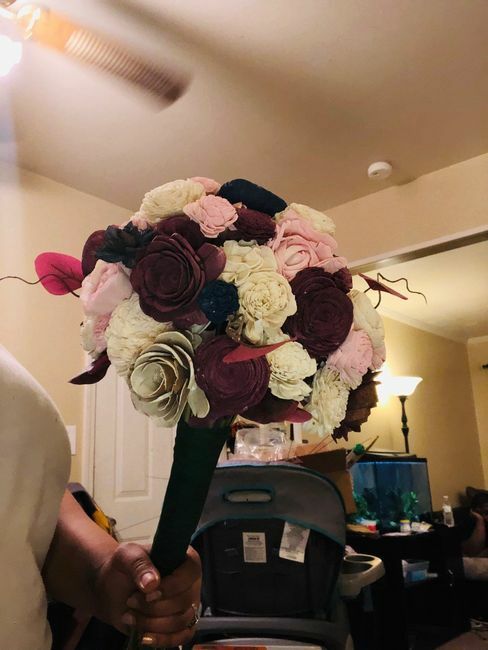 So I recently purchased my wedding bouquet from a shop on Etsy. I HIGHLY recommend ordering from HeyBouquet if you want flowers, but aren't into real ones. These Sola flowers are beautiful and super light. *first picture is from the website & the second is what mine look like! I ordered mine early to see if I would like it before ordering everything and I DO! That is beautiful! I will have to check them out because I am leaning away from real flowers too! Im going to have to check them out! Those are gorgeous!! They look great. I never knew fake flowers could have such quality. Yes!!! Definitely checking this out! I was just looking at fake flowers this morning! I'm making my own sola wood bouquet and I'm using that photo as my inspiration! Love it!! 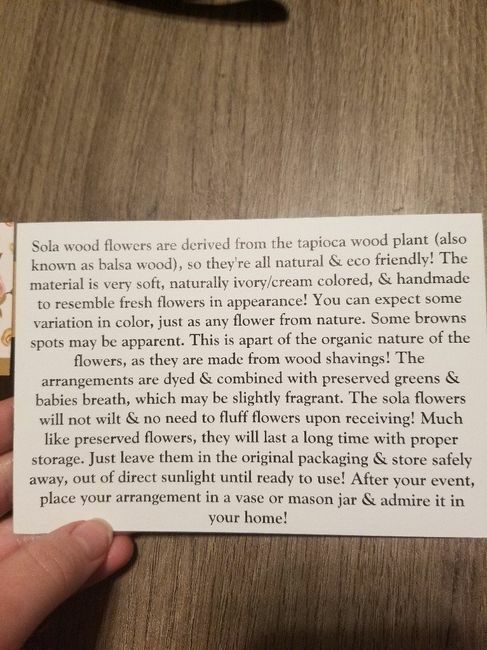 On a side note, the raw flowers I ordered were recommended to be removed from all packaging so that they could breathe and wouldn't mold or anything since it is a natural substance. I would follow up with the Etsy shop about storage since your wedding isn't until December. The bouquet looks beautiful though! Beautiful! I love sola wood flowers, that's what I used to make my bouquet as well! I love these! Will have to check them out! That's so awesome!! Did you dye them yourself?? These are the other items I plan to order in the future! I just ordered a sample of these flowers to see if I would like them. Your bouquet is so pretty. I think you have just sealed the deal for me. Nice!!!!!! I am doing Raspberry and plum and burgundy with either gold or copper. But want a peach and lilac rose for my Grandparents. As well as lily of the valley and shamrocks. I highly recommend!! From the same shop? Wow, the bouquet looks gorgeous!!! I love the colors and types of flowers, they did an awesome job!! Thanks for sharing with us, Kali!! Oh Im so excited! My flowers are SOLA!! !